Seven thirty pm may not be the wisest time to hail a cab in São Paulo. 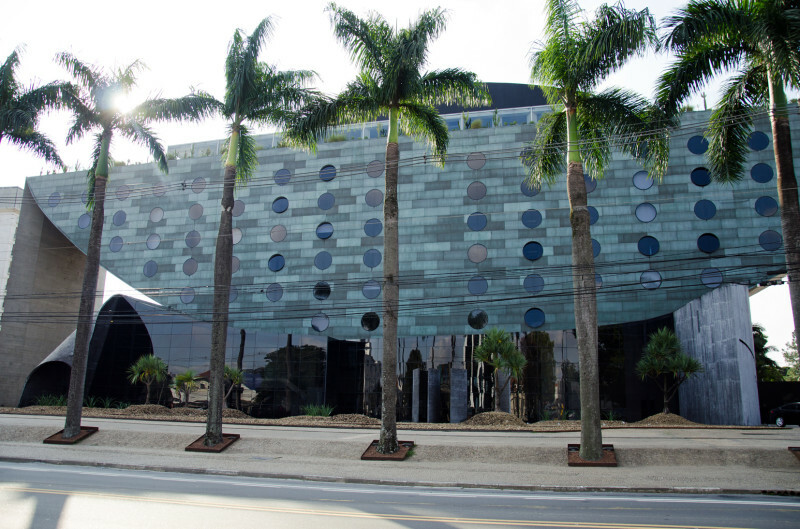 The streets are jammed, hooters honk continuously and above, the distinctive whir of helicopter blades scissor through the air as the well-heeled land atop the Emiliano hotel in upmarket Jardim. When the cab pulls into the curved lane at Beco de Batman, or Batman Alley, the famous graffiti enclave in trendy Vila Madelena, the meter has ticked along considerably. 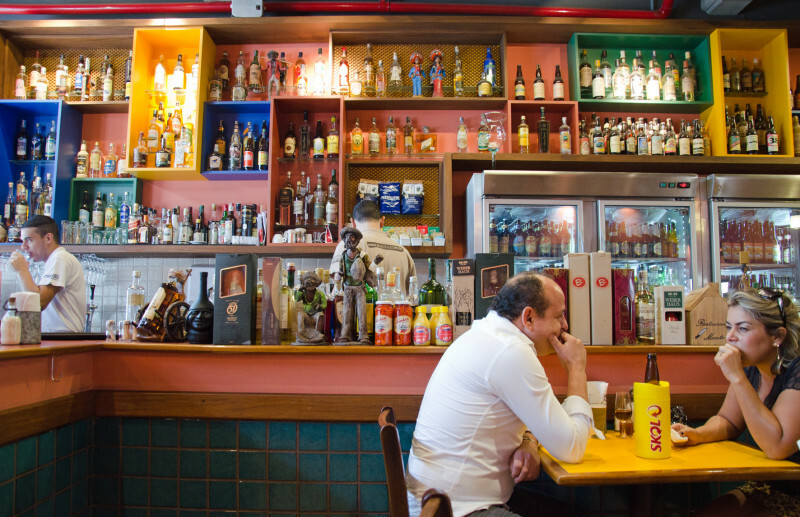 As most locals, or Paulistanos as they’re known will tell you, two things count for much in this city – time, and money. 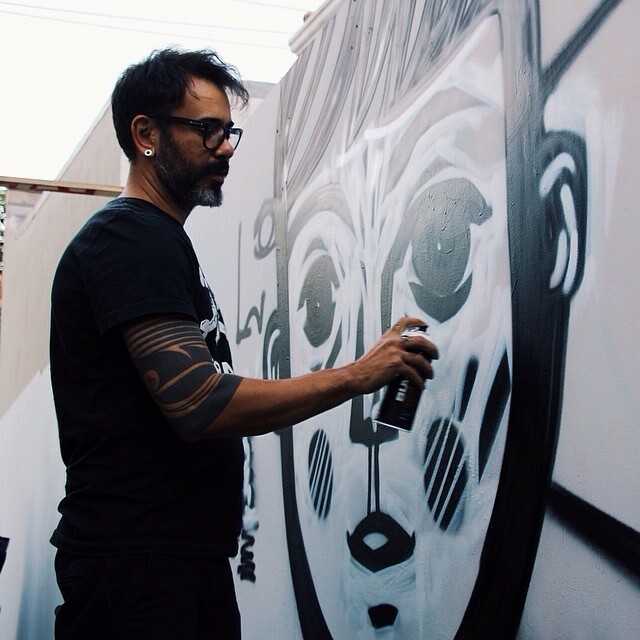 To get an idea of what I should seek out in the street art and hip scene, I’m meeting with a host of creatives – trend forecasters, two lawyers-turned-entrepreneurs, tour guides and street artists. Unsurprisingly, most of them operate in the online space. I take notes about bicycle street art tours (notoriously difficult to bike during the week, the city has an open policy for bikers on Sundays), museums, food tours, markets and bars. It’s clear that the time I have is hardly enough. 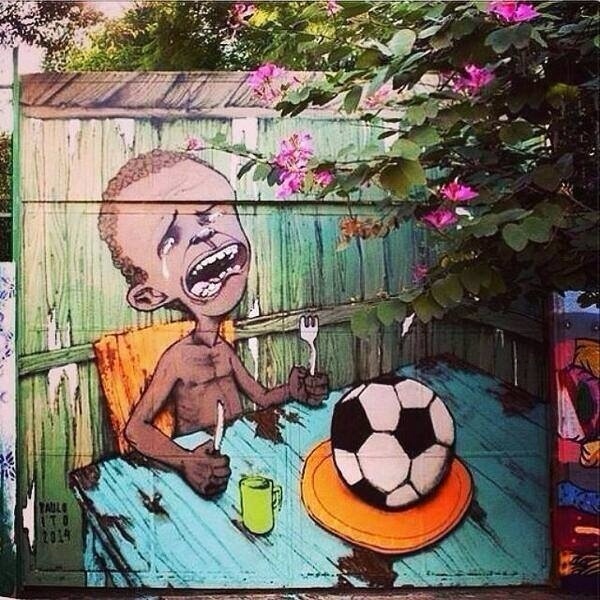 We’ve been discussing the sentiment of anger at the upcoming games – the blame being pointed squarely at a corrupt government who’ve piddled tax-payers’ money to build extra stadiums, amongst other ill-spent ventures, instead of focusing on desperately needed health care and education. 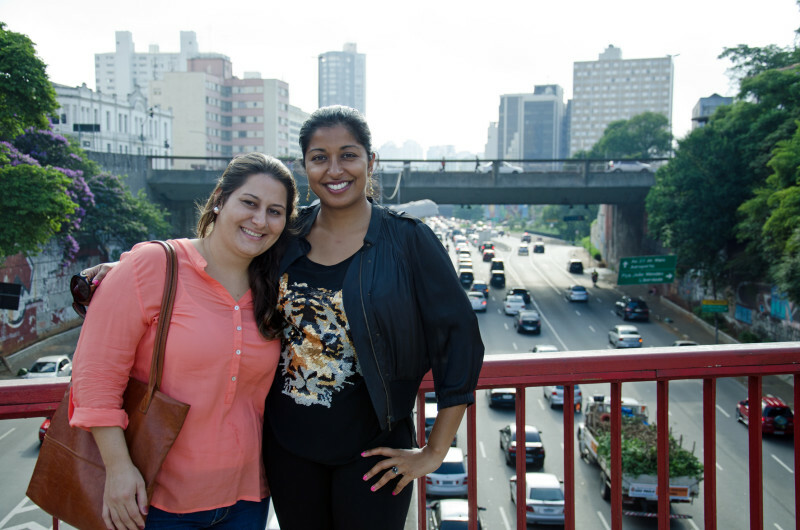 In a metropolitan as large and intimidating as São Paulo city with its 20 million inhabitants and well over 7.5 million cars, this group with varying backgrounds and differing skills form part of an intertwined friendship circle. 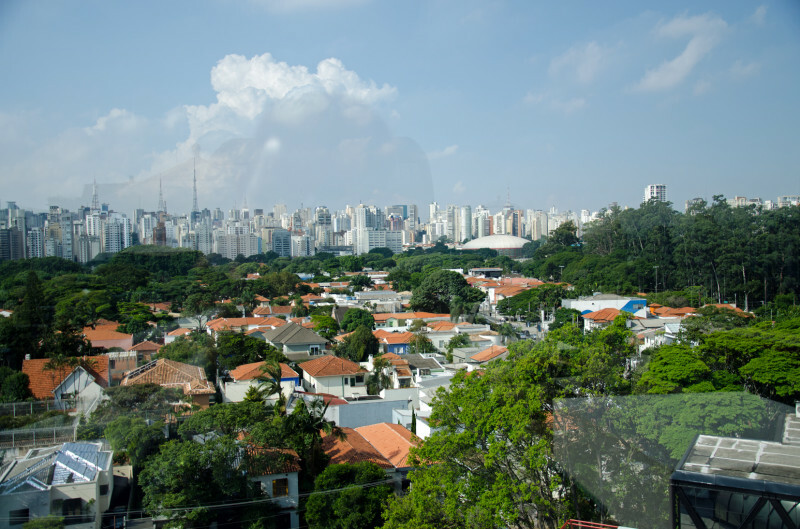 To a great extent they’re interested in the same thing: improving life in São Paulo – its living conditions for the poor, its opportunities for artists and creators, its image to both Brazilians and the rest of the world. “70% of Brazilians haven’t been to a local museum, and yet we are the second biggest population group to visit the Louvre in Paris. We must start believing in ourselves,” says Manuela Colombo, a former intellectual property lawyer who co-founded Conexão Cultural. 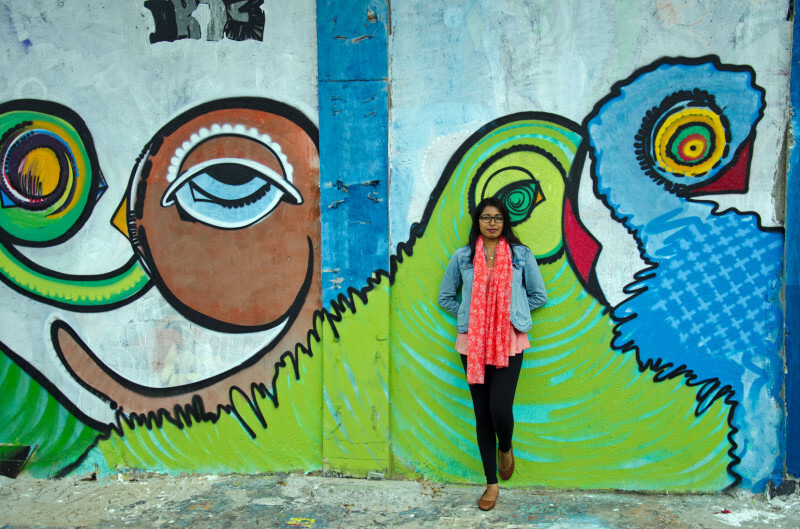 The organization aims to connect people with local culture, public spaces and artists. “Accomplishing meaningful work and changing perceptions from the inside and the outside has been my main goal with Conexão Cultural,” she explains. The increasingly gentrified district of Vila Madelena, where we are dining, has fast become the home of young urbanites like Colombo. What was once crumbling and decrepit is now prospering with cafés selling ethically sourced coffee, boutiques, galleries and modern, remodeled apartment blocks. I can’t help but draw a reference to Maboneng or Woodstock, but on a far grander scale. 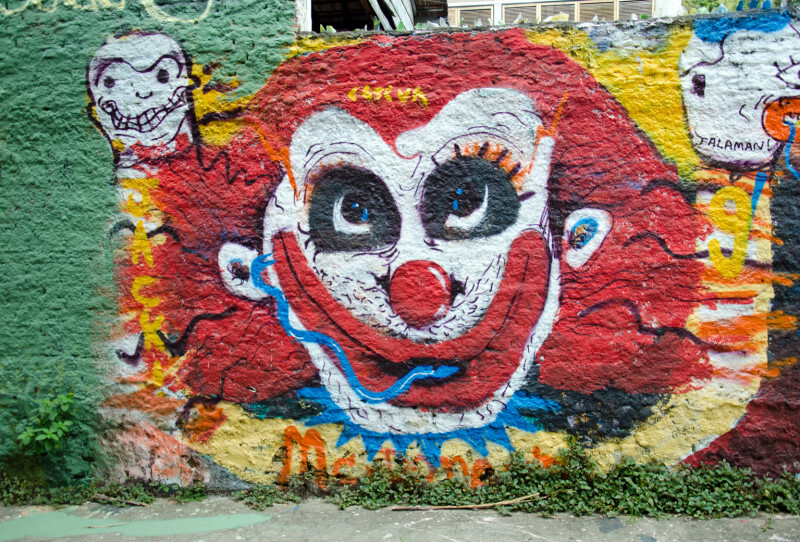 Batman Alley, a long twisting lane and the surrounding streets covered in splashes of graffiti, lie mere meters away. 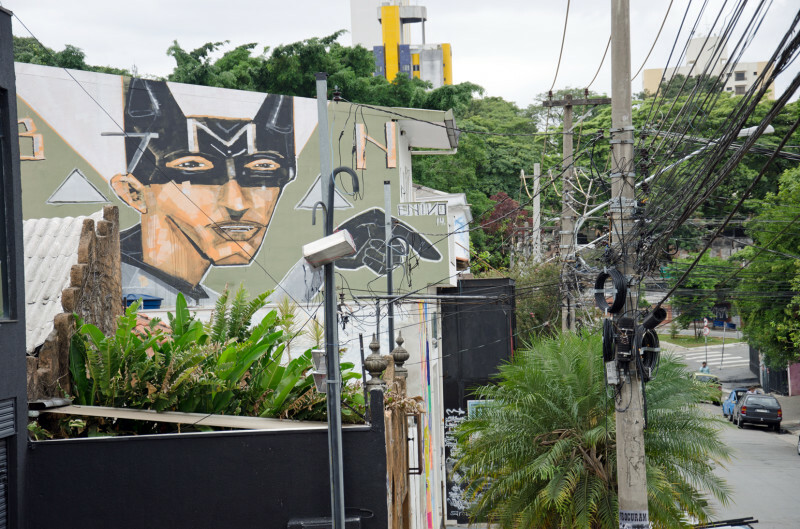 Instagrafite documents global street art, including the pieces found at Batman Alley and all across the Cidade Cinza, or ‘grey city’, a reference made to São Paulo in the documentary about street art by the same name. Founders Marina Bortoluzzi and her husband Marcelo Pimentel hand out Instagrafite stickers to the table as well as iPhone covers and Moleskin diaries with the work of artist Speto (Paulo Silva), a project they curated. I recognise Speto’s work from a mural I’ve seen at Mocotó, the award-winning bistro restaurant about an hour out of Jardim. 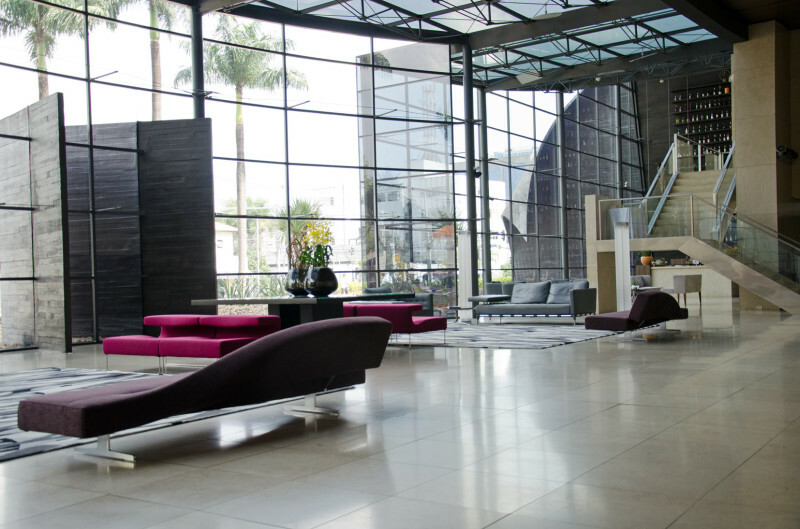 It makes for compelling advertising, and both Bortoluzzi and Pimentel have a background spanning ten years in the industry. What started out as a hobby three years ago is now the largest collaborative street art gallery in the world. “We consider Instagrafite an independent media platform and we have almost a million followers,” says Bortoluzzi. 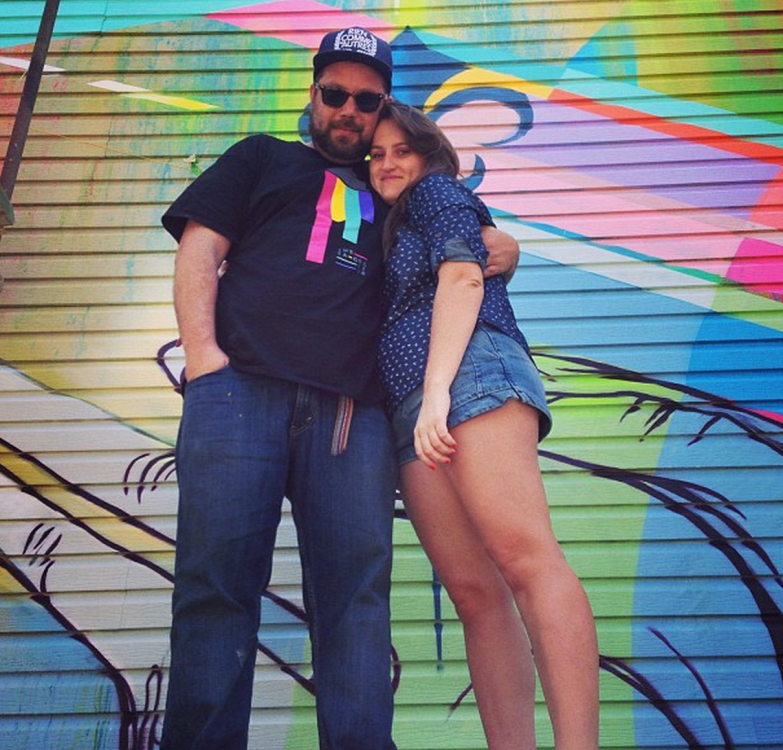 Instagrafite assists in allocating the walls to local and visiting international artists. “They stay in our home. We find them a sponsor to pay them and they connect with local life.” Soon Markr (www.markrart.com), the intuitive application they are launching will be available. It allows anyone to take a picture of graffiti with a smartphone and it will churn out the artist’s name. In a city that has no visible outdoor advertising due to a ‘clean city law’ passed in 2006, street art covers the urban substrates in mediums that have long surpassed ‘tagging’ – the simple form of writing ones name, usually associated with defacement and vandalism. Intricate stencils (made famous by the reclusive British artist Banksy), spray painting, drawing with brushes, wheat-pasting and stickers are some forms of artistic expression found on the streets. 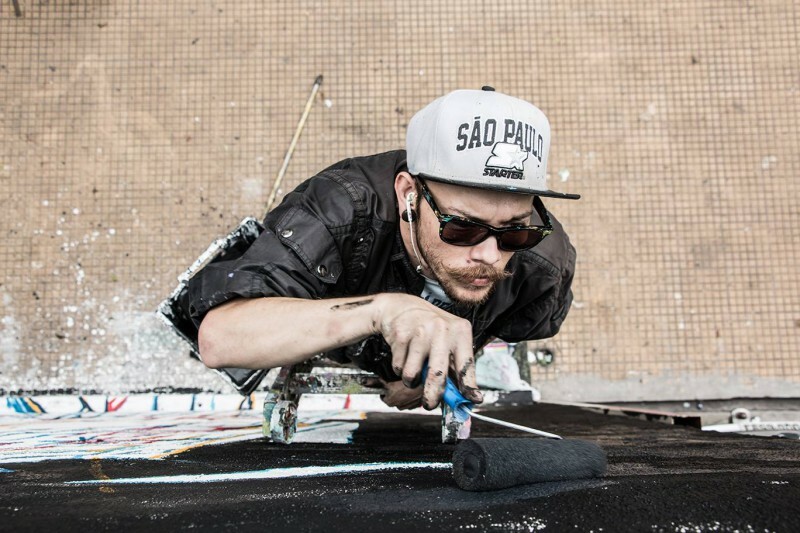 The enormous, complex murals that cover São Paulo are no overnight task and the artists are often trained in some artistic medium. “My style comes from a diversity of experiences, from woodwork to my work as an art director. I’m influenced by geometric design, the city’s architecture and I express this through animal figures,” says artist Arlin (Arlin Cristiano) of his brightly coloured linear pieces. In person he is shy. 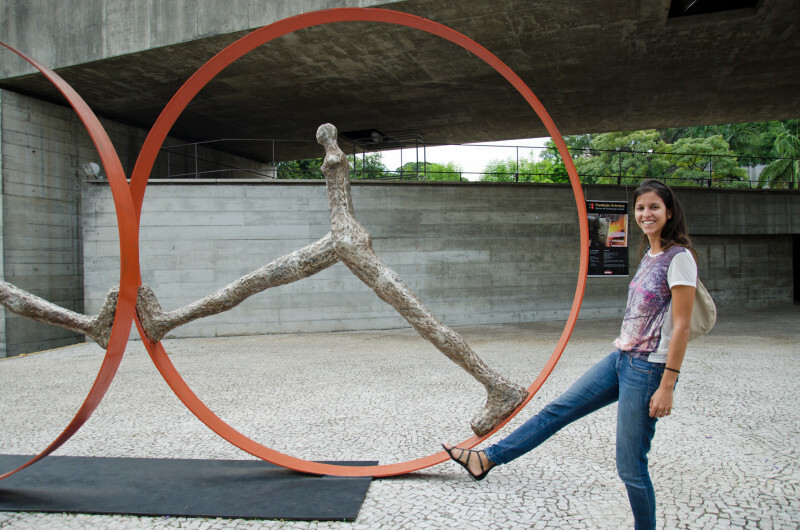 São Paulo’s artists have learned the art of patience and persistence. Cidade Cinza reveals how the clean crews employed by city hall have the right to paint over whatever they deem ‘visual pollution’. In it Os Gêmeos, twin brothers and two of Brazil’s most famous artists narrate their story of frustration and challenge. Speto who creates distinctive folk-art designs, commenced his career in 1985, at the end of the military dictatorship. 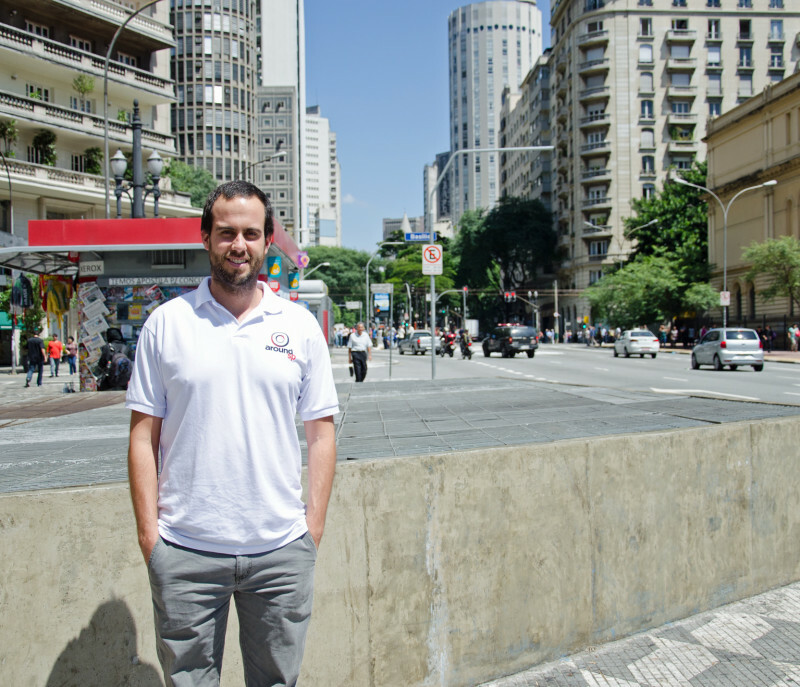 He calls São Paulo an ‘unfair city’. 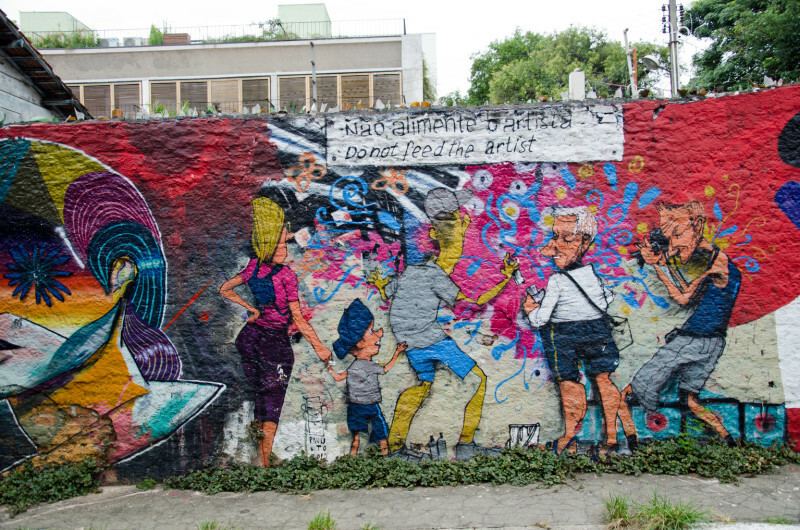 It appears that while the government has control over so many aspects, including outdoor advertising, the street artists of São Paulo have repossessed the city’s walls. And the city has become an interlocutor to project their dreams and hopes, communicating directly with fellow Paulistanos, with whom the meaning of these works lie. With sincere thanks to Carol More of Follow the Colors for introducing me to so many street artists, creatives and guides. Thanks for your time and openness: Manuela Colombo, Flavia Liz, Marina Bortoluzzi, Luis Simardi, Speto, Arlin, Paulo Ito and others.